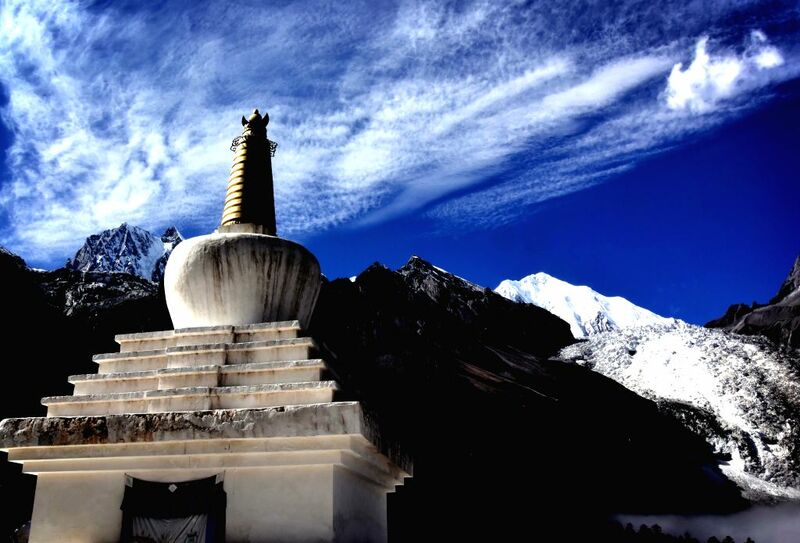 KANGDING, Oct. 29, 2015 - A buddhist pagoda is seen at Hailuogou National Glacier Forest Park in southwest China's Sichuan Province, Oct. 28, 2015. 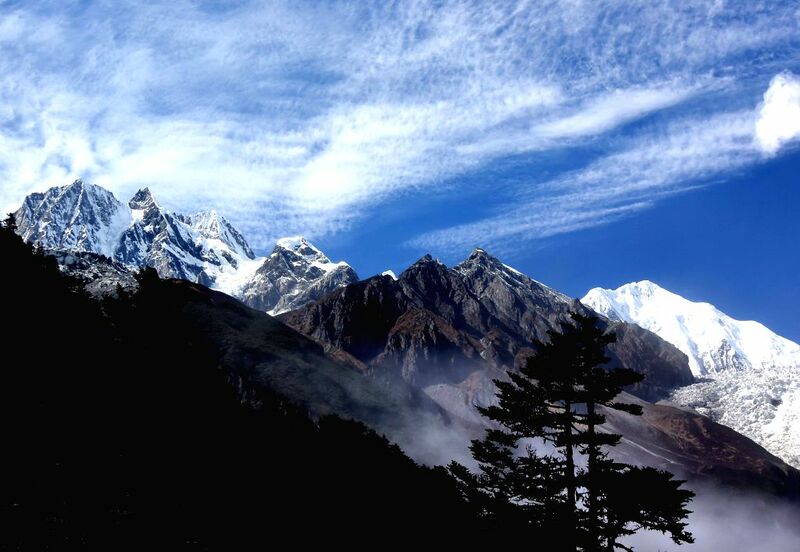 Hailuogou (Conch Gully) National Glacier Park is 319 kilometers from the provincial capital, Chengdu. Glaciers here are typical modern marine glaciers, which are rarely found either in low-latitude places or at low altitude. Mountains and trees are seen at Hailuogou National Glacier Forest Park in southwest China's Sichuan Province, Oct. 28, 2015.